Lyndsay Johnson: Get it while you can! The Blog Guidebook's 30 Days of Giveaways is giving away this darling dress to one lucky winner! Click the link below to enter—I didn't want anyone to miss out on the chance to win such a great prize: If you aren't familiar with Shabby Apple yet, I suggest you get started! 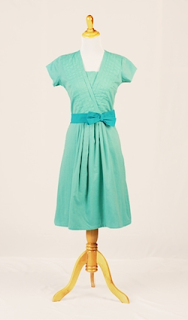 The always fashionable Shabby Apple is giving away this lovely little number to one very lucky reader! Enter the Giveaway at 30 Days of Giveaways!